I love our community! I love the people, the places, the views and the vibe – I LOVE the vibe here! I’ve been a small town girl, I’ve been a country girl, I’ve been a big city girl and for the past 26 years I’ve happily been an Idaho girl and am so proud to call Idaho my home. I’ve raised 7 amazing kids, found a rockin’ husband, had super fun jobs and am now enjoying the BEST career ever as a Realtor – talk about road trips, enjoying new clients/friends and seeing some super cool properties! 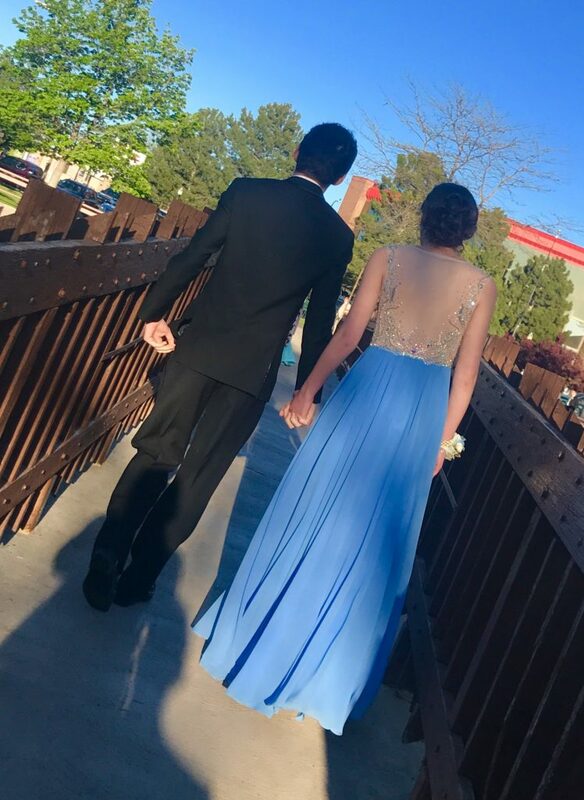 A few weekends ago​ was my Senior daughters last prom (sniff, sniff), I dedicated my entire day to her. Breakfast, picking up flowers, doing hair and makeup, pretty nail polish and pictures – tons and tons of pictures! Her Prom group wanted to have photos taken outside somewhere pretty so we all headed to Idaho Falls. We chose to go to the Snake River near Broadway Bridge, you know, the bridges, the water, the trees, etc – just all around a perfect place for photos. As we pull into the parking lot we see a lot of cars, a LOT OF CARS. There were dozens and dozens of Prom kids that chose the same place for pictures! We had a blast, we chatted with other kids and parents, admired pretty dresses and handsome boys in their tuxes…. everyone was laughing, smiling for the pictures and having a blast! The air literally buzzed with excitement and positive energy… The sun was shining with a little breeze (Hello, we do live in Idaho!) and the vibe was all peace, love and light….. I hate that my kids are all grown up and leaving me but life has many adventures for me…. and there’s no place I’d rather be an empty nester in.